Sic Bo is a Chinese word for ‘dice pair’ and this casino game itself is an ancient Chinese game which is very popular in Macau. The game is widely played Western countries as well and a few online casinos now offer live Sic Bo online. Live Sic Bo is simple, unique, and the rules are easy to follow. It is basically a dice game that is based on luck and chance. Many of the well established online casinos offer live Sic Bo as part of their wide range of live casino games. Live Sic Bo has a big variety of betting options on the roll of those dice and the odds and table layout vary from place to place. While Live Sic Bo offers great odds for some bets, the house edge on every spin ranges from a low of just under 3% to a high of over 30%, depending on the type of wager made and the odds offered. The live casinos have different in-house rules and payouts for the live Sic Bo games that they offer. 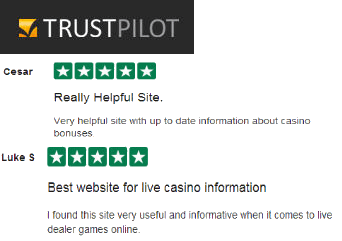 It is therefore advisable to compare what is offered by different online casinos so that you settle for a suitable one. Before you start playing, you should get a good understanding of the different bets that can be placed during the game. Let’s have a look at how you play Sic Bo online with live dealers. Live Sic Bo is played using a live dealer and three dice. The idea of the game is very simple. The player makes a bet on a certain kind of a dice roll result. The dealer presses the button, the dice are then rolled in the box. If the result that the player had a bet on does appear then the player wins. Like every other live casino game, when you play Live Sic Bo you have limited amount of time from the moment a round is started to place a bet. Players will have to click on the amount of chips they want to bet and then click on any bet area on the table to place their bet there. Playing live Sic Bo online gives you the same experience as being in a real casino building. The equipment used is the same and there are real dealers in-charge of the games. The online casinos that offer live Sic Bo and other online games have invested in the latest technologies to ensure that players have a wonderful gaming experience. The live video feed is clear, secure and stable to ensure that players get to experience all the details of the game. Small Bet wins if the total sum of the three dice is 4 to 10. Big Bet wins on a total of 11 to 17. Neither Small nor Big Bet wins if the three dice are of the same number (three of a kind). The Small and Big Bet payoff ratio is 1 to 1. Placing a number bet means you want a specific number to appear on as many dice as possible. Select a number from 1 to 6 and place your chip(s) on the corresponding area. Status bar info text for these areas is ‘One’, ‘Two’, ‘Three’, etc. If the chosen number appears 1 time, your bet pays 1 to 1, if it appears 2 times, your bet pays 2 to 1 and if it appears 3 to 1, your bet pays 3 to 1. Make a bet on any of the 15 possible two-dice combinations (for example 3 and 4; 2 and 5 or 2 and 6).Pays 5 to 1. Placing a total bet means you want the total sum of the three dice to be a certain amount. Possible totals are from 4 to 17 while 3 and 18 (which are also possible with three dice) are excluded. You bet on a specific pair to appear (for example, two 5’s). If at least two of the chosen numbers appear, you win 10 to 1. You bet on a specific triple to appear (for example, three 5’s). If the chosen triple appears, you win 180 to 1. You win if all three dice have the same number (any three of a kind Payoff ratio for this bet is 30 to 1.